What is a Page Role on a Facebook Page? 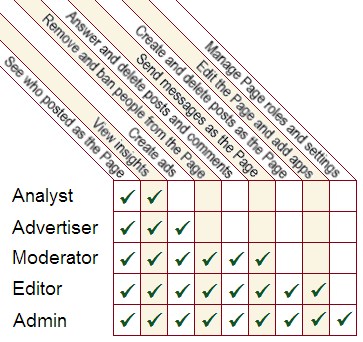 Each Page role has its own set of available functions, and only the Admins can set or change the Page roles in their pages. How to Use Facebook >> Pages >> What is a Page Role on a Facebook Page? How to Use Facebook >> Knowing the Facebook Features >> What is a Page Role on a Facebook Page?